just downloaded the new hike messenger. What a big change from WhatsApp! It's got amazing Stickers, the ability to choose who sees my Last Seen and some really cool Chat Themes. The best part? 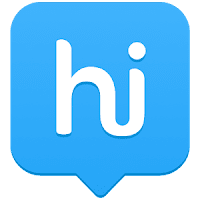 Hike has thing called Hidden Mode that lets you hide your private chats, from the world! Awesome!